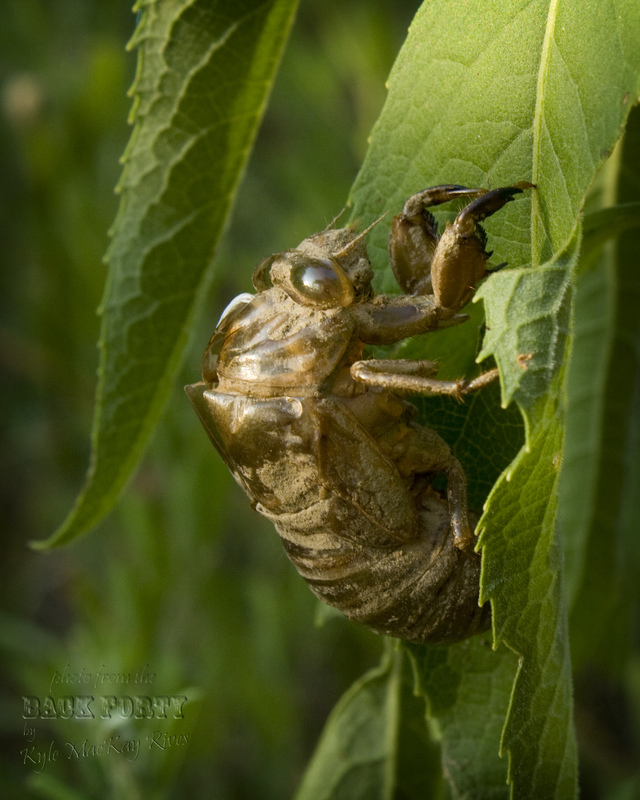 This entry was posted in afternoon flashback, photography and tagged cicada, insect, nature, outdoors, photo, Photograph, Photography, semi, summer 2011. Semi-pun-snigger. Exuviae. Good word, and one I appear to need today. I hope to implant it in my memory. The fun thing about the females being so large is that they make teduenroms noise when they fly. And they’re quite inquisitive, so they always buzz around me checking me out (I always think they’re looking to see if I’m hiding any cicadas on my person). They sound like small B52 bombers when they get close.But here’s the real intimidation factor, C: I’m deathly allergic to wasp and ant stings (and bees to a lesser degree). I’ve always wondered if my fascination with this species is equivalent to playing with fire. Getting over my apprehension was a big move, and since then I’ve honed my skills at getting the males to perch on me and/or to be comfortable around me. Admittedly I’ve also had females perch on me and I’ve helped them get off the ground when they’ve crashed with a cicada in tow, but they’re usually too busy to hang around much.